Hello lovelies and Happy New Year! Our friend, and Pastor recently turned 40, and we concocted a surprise holiday to North Wales with his wife, so that he and Dusband could go on the longest zip wire in Europe and the fastest in the world. Crazy heads! We wanted to take his birthday present with us so that it was more of a celebration and we put together a shaving kit with soap and brush etc, because Dusband loves using proper shaving soap. So then came the hunt for a nice bag to put it all in, and I asked in my bag making group, but apparently I needed to make one myself for it to be a proper gift. 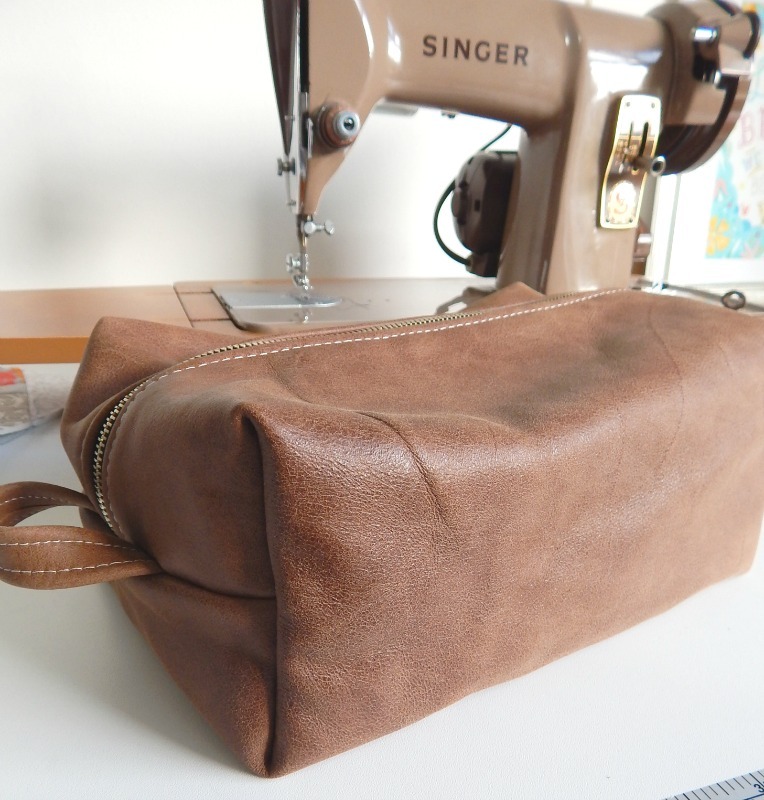 So here's what I made, I used the 1 hour Dopp Kit tutorial on Craftsy, although I didn't time myself. It probably took me longer than an hour because I'm slow and get distracted easily! I made this before I got my Janome 6600PMC so I had to use my vintage Singer to sew it. I like this machine, but jolly it's hard for me to sew in a straight line with it! I used some real leather that I bought on eBay. I love that it still has the scars on the skin. When you buy commercial goods they often cut around the barbed wire scars and imperfections, but I love them! 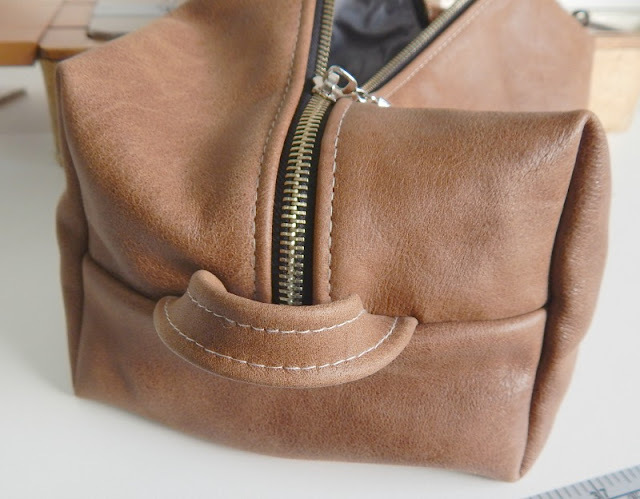 I used a chunky zip because it was more manly (ha!). 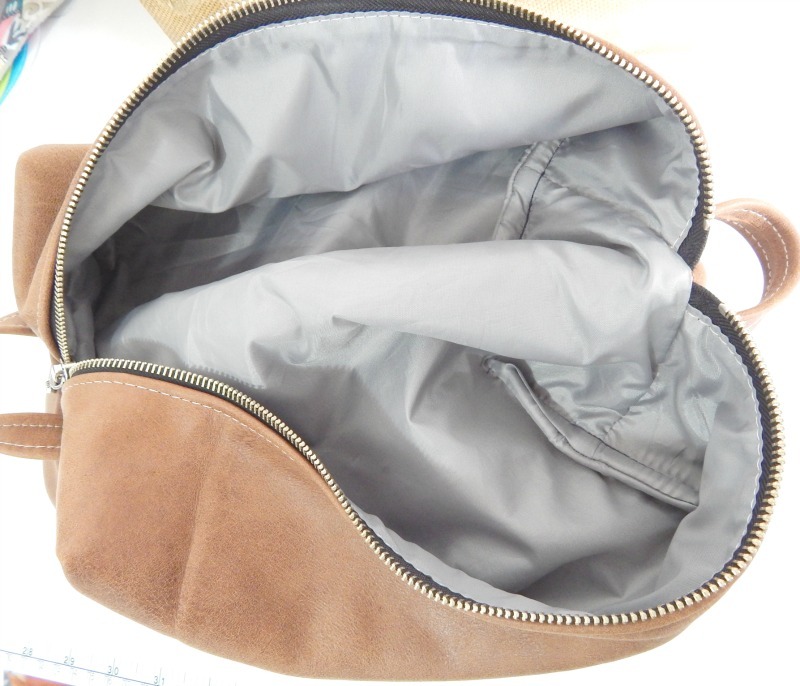 I love the buttery soft leather that I used, I really didn't want to give this bag as a gift!! For the lining I used grey nylon Ripstop to make it waterproof. The pattern is finished using French Seams in the corners which was super thick, but the handy hammer came out and the seams went through the machine much easier after it was hammered! My friend loved his Dopp Kit and unfortunately I didn't have the chance to steal it back off him. I shall have to make my own!